While the Asian Art Museum is closed in preparation for renovation, our curators are staying busy. 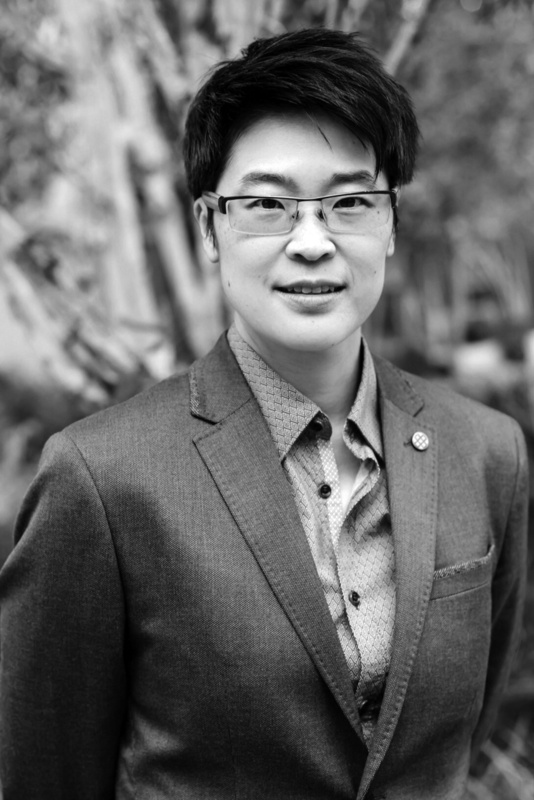 Hear from Ping Foong, Foster Foundation Curator of Chinese Art, on what she’s busy with and how it will impact the Asian Art Museum. SAM: What are you working on while the Asian Art Museum is closed for the next 18 months? PING: I’m hoping to convene a panel of senior advisors to help us address big-picture questions for the museum: What defines Asian Art? How can we define Asian Art in the 21st century? What are the boundaries of Asia that we want to talk about? What role does contemporary Asian Art play? What role does less represented areas of Asia play? The term Asia doesn’t refer only to East Asia (China, Japan, Korea) or South Asia (India and Pakistan). So one of the big questions is how to balance the stories the collection itself can tell versus the stories we ought to tell. So, basically I’m asking my elders for help. A motivation for the proposed renovation is to better display South Asian artworks, correct? Yes, this is not my area, so I found us expert help: a senior curator of South Asian art will join my team as a consultant so that we will have “three pillars” representing our collection—China, Japan, and South Asia. Another important question is what role must Islam play in the display of Asian art. Islamic art is not geographically specific. Right? So, we have on display right now downtown a room full of Islamic art, but then the question is should it also be included in the Asian Art Museum? Where do you draw those lines? That’s an important question to ask. And how do we ask these questions? Well a curator has a very important role in these things, but I like to have feedback. I want this to be part of a conversation. How do you see this conversation impacting the future of the Asian Art Museum? The theme that surfaces often is transcultural connections. There are objects that cannot be defined by religion. We want to talk about how artistic styles travel. Other things travel that you may not imagine. For instance, tattoos travel because they’re on the body. I like to think about the ways that color travels. I would love to make a room full of color talking about the way that trade connects Persia and China. Cobalt goes from one end of the world to the other end and gets made into something and comes back. This process of going back and forth can be demonstrated with objects. In the meanwhile, what sort of Asian art will be on view at Seattle Art Museum? Yayoi Kusama: Infinity Mirrors is on view this summer. People are very excited about that exhibition. Another reason to be excited is Pure Amusements: Wealth, Leisure, and Culture in Late Imperial China. It’s basically a scholar’s objects show with a twist. Certainly, you get to see some very important examples of well-known furniture, lovely Ming dynasty chairs, elegant brush pots, pens—the kinds of objects that a scholar might need for everyday life. But the theme of the show is that these things are not just necessarily belonging to scholars. They belong to people who aspire to join the community scholars, or to participate in scholar culture. These beautifully crafted objects may have been made for somebody who wants a scholar’s object, but is not a member of that class. Also, it’s a chance to display things we’ve never displayed before. I found a set of very nice ink sticks that belonged to one of the most famous Chinese emperors. He lived in the 18th century and collected like a maniac. He was probably the greatest emperor collector on earth; no one had a bigger collection than him! These ink sticks are little and each of them looks like a tiny musical instrument. With an ink stick, you rub it with a little bit of water against the inside of an ink stone and you create ink you can use in paintings or calligraphy. They’re ephemeral, they disintegrate, but yet these ink sticks are so beautifully crafted. Sounds like we won’t be missing out on Asian art in the interim. But what will you miss most while the Asian Art Museum is closed for proposed renovation? Well, I miss a number of things. The offices, for example, those will change. They are historic offices. There’s history in sitting on those seats and that will go away. The plan right now is that where the current offices are will become perhaps the conservation studio and the administrative offices will move. So I will miss my beautiful window. I have a tree outside it. That was my favorite part about working in the park. As objects are concerned, I’ll miss my favorite Buddha. What are you most excited about maybe in terms of the new space? We’re planning on two new education spaces. Currently, we’re busting at the seams on Saturdays because we cannot accommodate all the kids who come to the museum. So we’ll have one space in the lower level, an art-making area, and a family area upstairs that is currently a gallery. It’s one of the most important parts of the proposed renovation because we just don’t have room for that currently. Anything else you want to share about your future plans for the Asian Art Museum? I think that the conversations we’re having with our advisory panel have to happen now, as I’m formulating ideas. And I do have some crazy ideas. I’m not sure if I can talk about them yet. It’s like this: Permanent collections—we’ve got to bring them a little love. You know? I want to put together a new and exciting narrative that people will love now and in the future.